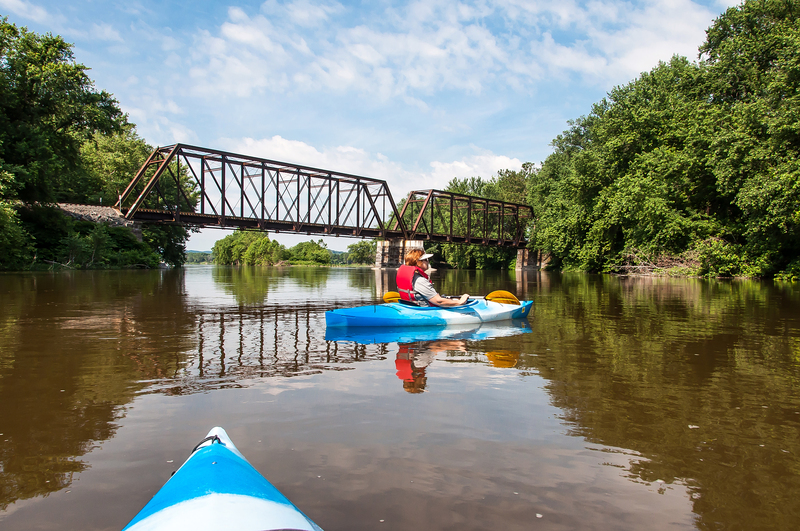 Join SGP and the Susquehanna River Trail Association (SRTA) on Saturday, August 3, 2019, as we discover the islands of the Middle Susquehanna River Water Trail. 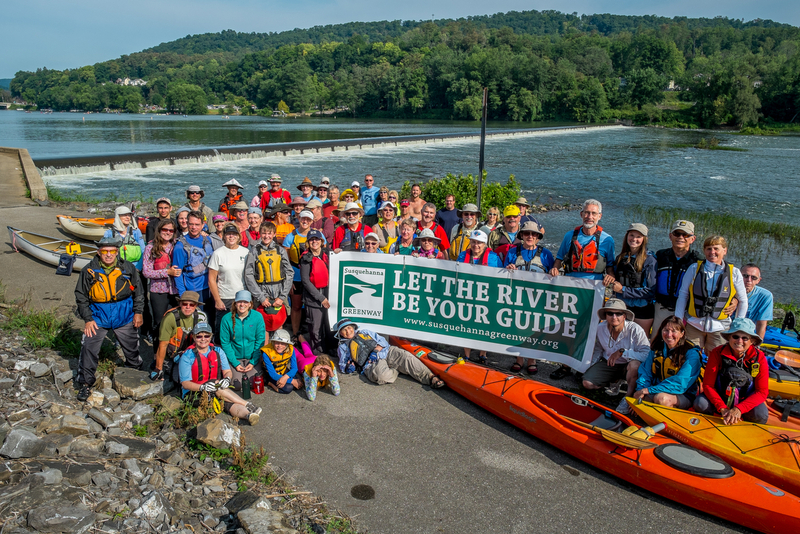 The Susquehanna Island Hopper is a one-day celebration connecting you to the outdoor opportunities along the Middle Susquehanna River. * Each ticket includes: lunch, educational presentations, guided kayaking trip, snacks, and an event t-shirt (if preregistered by July 23rd). Tickets are non-refundable. Participants should be prepared to kayak 12 miles on gentle flowing waters. Depending on water level, the trip may be shortened. To reserve your kayak through Bic’s Water Sports, simply mark your registration. Rentals are $35 per kayak. from WVIA GreenLife episode 203. 2014 sojourn participants. Photo by Chuck Haupt. Photo by Rita Kurtz, SGP photo contest entry. McKee's Half Falls. Source unknown. 8:30 AM – 9:30 AM: Registration opens at the Mahantango boat launch. This will be a time for participants to check-in, receive their appropriate materials, and be shuttled to the Isle of Que put-in. Light morning refreshments, port-a-johns, and informational tables will be accessible to participants at both locations. 9:45 AM – 10:00 AM: Opening Ceremony, welcome by borough representative, brief history of Selinsgrove, kayak safety talk, and launch of paddlers from Isle of Que. 10:00 AM – 12:30 PM: Participants will paddle from Isle of Que to the Port Trevorton Fire Department’s Picnic Grounds, passing and visiting island campsites. PA Master Naturalist pointing out natural features. 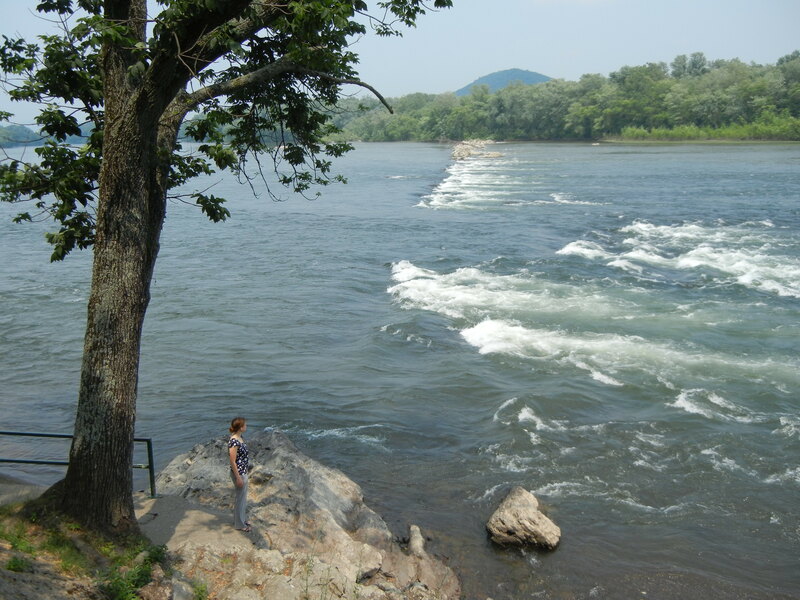 12:30 PM – 1:30 PM: At the Picnic Grounds, participants will enjoy lunch and listen to educational presentations about the area’s history and ecology of the Susquehanna River and interact with partners at outreach tables. 1:30 PM – 1:45 PM: Participants will transition back on-water. 1:45 PM – 3:15 PM: Participants will paddle to the island campsite #109 for a brief talk by SRTA on campsite maintenance, history, etc. This will also allow participants to regroup, and the on-water safety crew to assemble at McKee’s Half Falls. 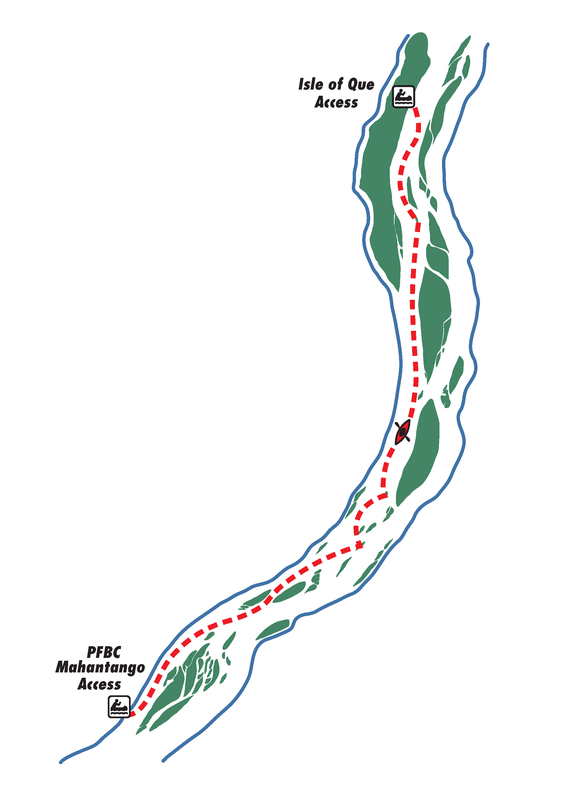 3:15 PM – 4:00 PM: Participants will paddle to the PFBC Mahantango boat launch. 4:00 PM – 4:30 PM: With help from our volunteers, participants will get off the water and transition back to their vehicles. They will be asked to fill out a short survey about the event prior to departing. ~~~After the sojourn, perhaps you would like to head back to the Susquehanna Greenway River Town of Selinsgrove to recap the day with new and old friends over a well-earned libation or dinner at one of numerous restaurants and establishments such as: Selin's Grove Brewing, Que Brew, BJ's Steak & Rib House Isabella, Amato's Pizza, etc. !